Beautiful, bespoke wedding film in Cornwall and Devon. Filming weddings is our passion. We take huge pride in producing videos that our couples will be able to cherish for the rest of their lives together. In terms of style, our wedding videos are emotional and cinematic. We’re extremely discrete throughout the day, almost documentary like, quietly filming the laughter, hugs and kisses that you share with your guests – no nerves, no forced smiles, no imposing. Every couple is different, and we just let you be you – natural shots of you enjoying your time together, with no posing (well, maybe just a quick kiss)! In 2015, 2016 and 2017 we were winners at the South West Wedding Awards, in the wedding video category, with some wonderful comments from the couples that voted for us. What we do on the day is only part of the story, next comes the edit, distilling all the emotion and fun of your day. 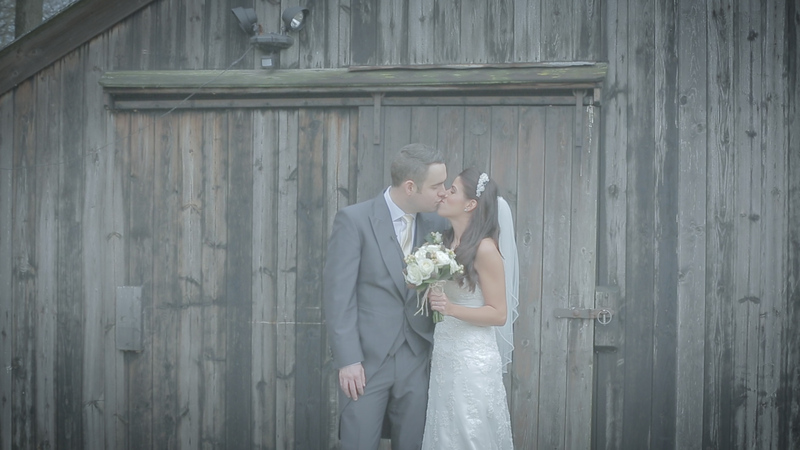 Then we colour grade and finalise your wedding film! It will usually take us about 50+ hours, start to finish. And we love every minute of it. The ‘highlight reel’ is the creme de la creme! Filled with only the very best bits – the most emotion and the most beautiful footage. This is perfect for sharing on social media, or to put on your phone/tablet (so you can relive the day at a moment’s notice!). You’ll get a ‘feature length’ video of the day . This will have loads more candid footage that didn’t make the highlights, as well as your ceremony, speeches and first dance in full! These are usually 60-100 minutes, edited to your choice of music! DISCOUNTS – It is sometimes possible to offer discounts for mid-week weddings, or weddings outside of peak season (November-April). Please get in touch to find out more! On a budget, but still want a beautiful, timeless video? Ask us about our pay as you go option! We still capture the whole day, but you can choose for a Feature or Highlights. Editing is the biggest time factor in wedding video production (40+ hours per film), so choosing one or the other means we can discount! Then if you want to upgrade to include both at a later date, we’ll still have all the footage ready to go!!! This is our most popular upgrade (especially for the Silver package). One camera operator can capture your day, but a second person allows for even more candid footage of your guests having fun, and offers an additional manned camera angle for speeches and ceremony (rather than a static tripod). Meaning we can get even better shots of ‘the kiss’ or special readings from friends and family! This cost also includes the extra edit time involved with the additional footage! Our packages finish at 9pm or 11pm, but if you have something special planned that you’d like us to capture (fireworks, sparklers, crazy dance moves), we’re always happy to stay a little longer – you can even decide on the day! The cost also includes any additional edit time involved with having extra footage. Now that home tv systems can finally support this *HUMUNGOUS* format, we’re formally offering it as an upgrade. All that extra file size does mean much more storage (both on the day, and in production), it also slows down our editing somewhat, but for something that’s future proofed for at least a decade, it’s a worthwhile investment! We can extract still images from our video, and they’ll be fully colour graded and formatted in jpeg – all ready for easy printing. You can choose your own shots, or we can make a selection. We love doing this one. We’ll find a little space somewhere in your reception venue and invite guests to come and leave you a private message, which you won’t see until you get your feature length film! It’s a great way to let your guests be involved and contribute to your memories. If we record these later in the evening, there’s always a great mix of heartfelt, sweet….and slightly slurred! While DVD’s are wonderful to keep on the shelf, they’re limited to standard definition (720 x 576). Our camera film in 4k and FullHD quality (4-8 times that size! ), so with a custom usb, you can have your film in it’s highest quality digital format, beautifully packages in a presentation USB box. A beautiful addition to your day. The south-west is one of the most picturesque areas in the country, and nothing captures this better than from the air. Rolling countryside, rugged coastline, sandy beaches – get a true sense of the beauty of your venue! 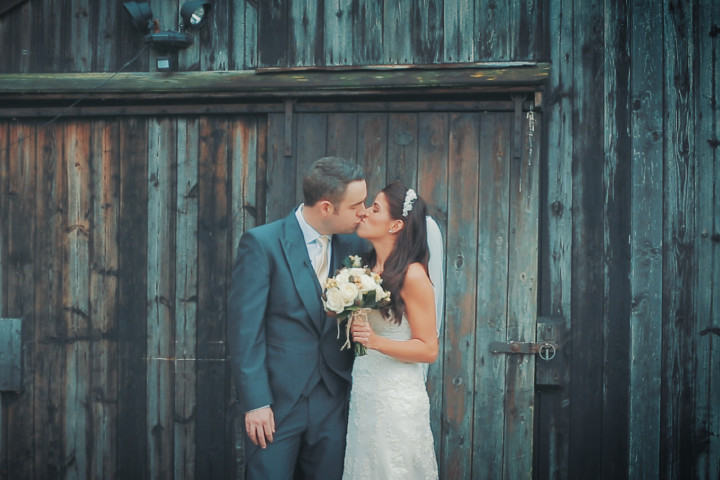 What do we mean when we talk about ‘colour grading’ our wedding videos? Well, it’s part of how our films look so cinematic. Colour grading is the process of manipulating the look of video footage in the edit – you may have never heard of it, but we guarantee every single tv show and movie you’ve watched in the last 15 years has gone through this process. It is often one of the final stages of post-production, where the look and tone of the film are adjusted to suit the director’s vision. The specifics on what is adjusted can vary, but generally everything from brightness, colours tones, saturation, vignettes and so much more! We colour grade our whole films – first correcting shots to make sure they match, then applying looks to either whole sequences, or to shots individually. It is a very time consuming process, but it is something we do with each and every one of our films to help guarantee your footage looks the best it possibly can. Check out the ‘weddings’ page, for more info on package details and get in touch for further information.